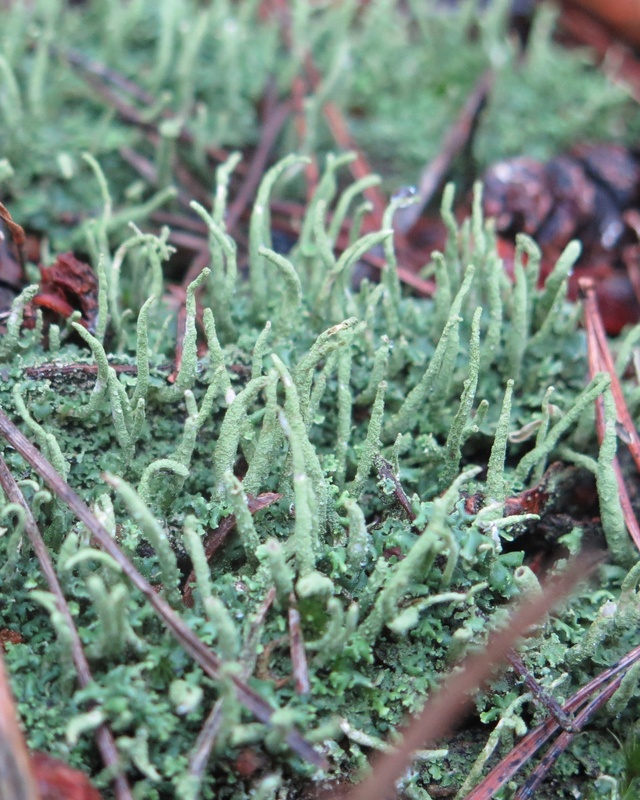 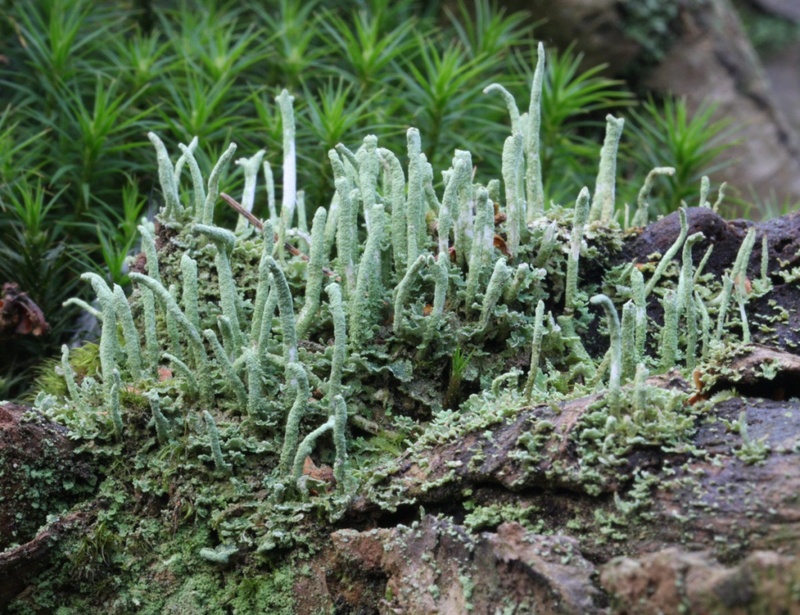 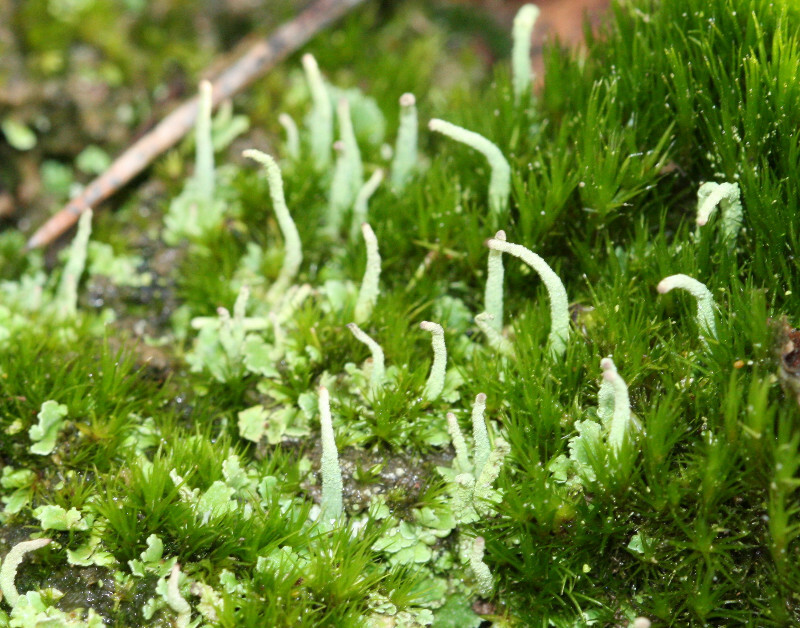 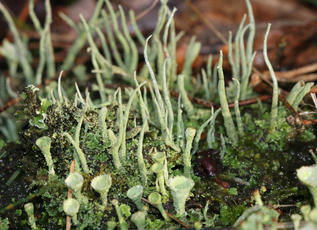 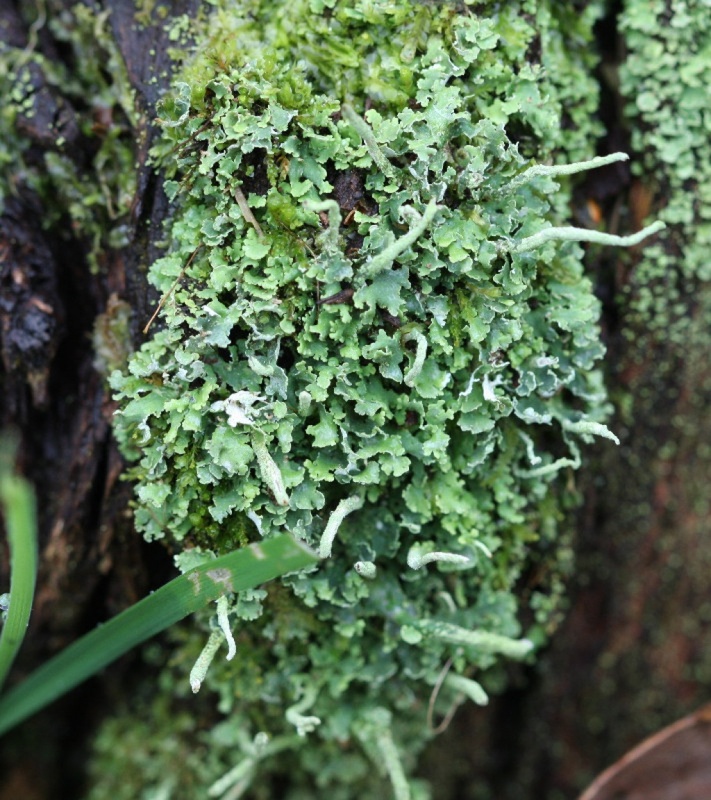 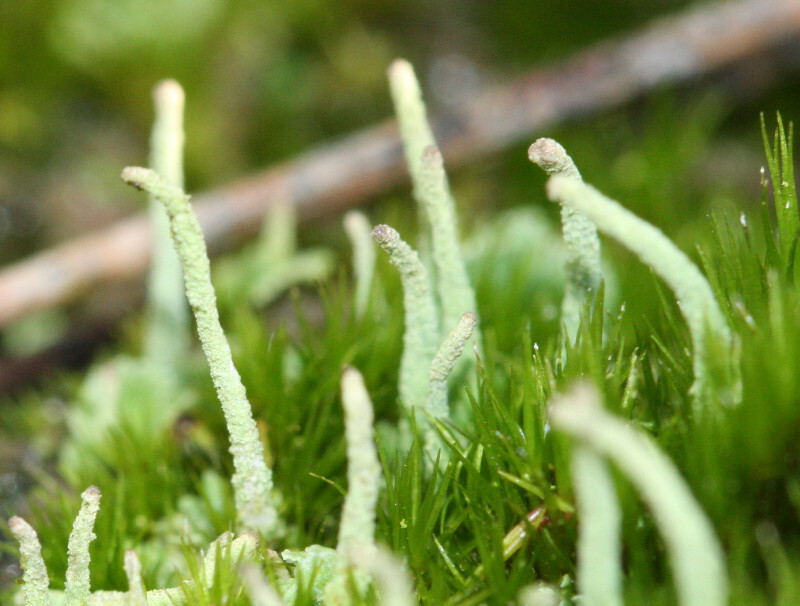 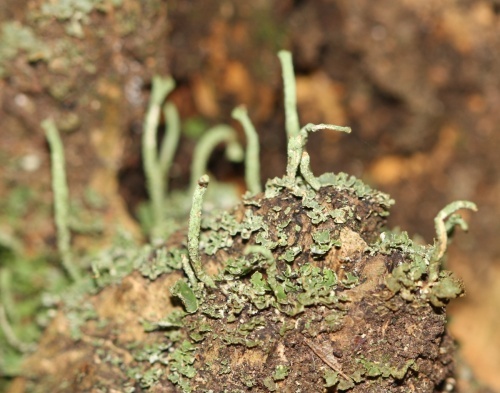 Patches of crinkly green squamules with white lower surfaces. Narrow, often bent podetia, sometimes with very small narrow cups. 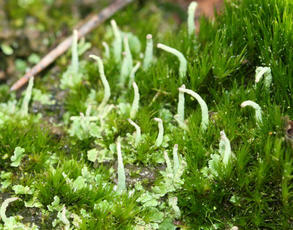 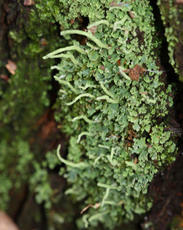 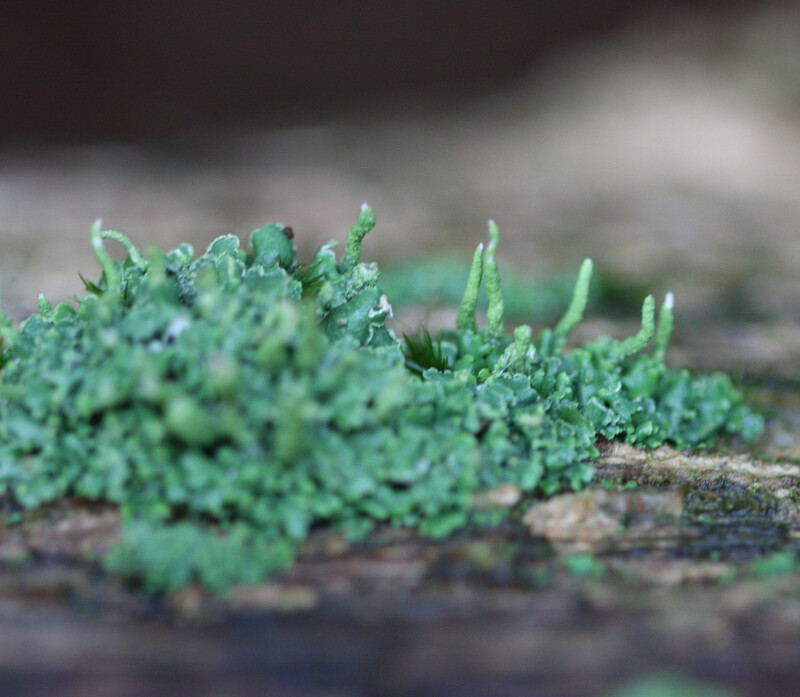 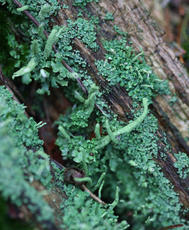 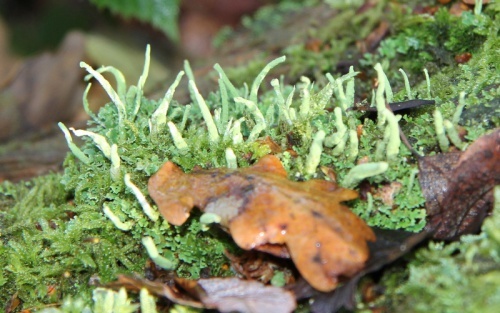 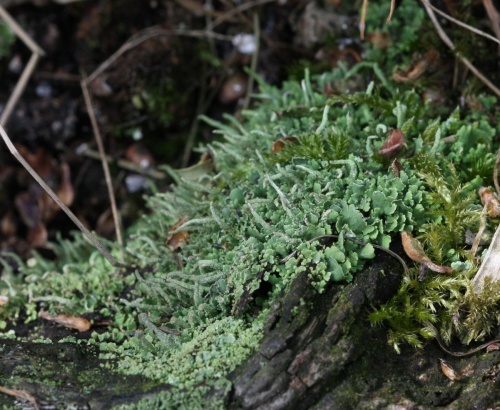 In woods among moss at base of trees or on rotting stumps. 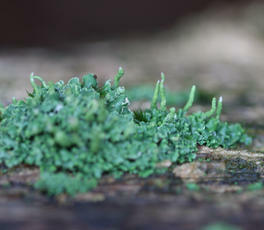 It can also be found in urban areas.